Keep your eyes on your goals. – A Teacher Tip from Miss B! 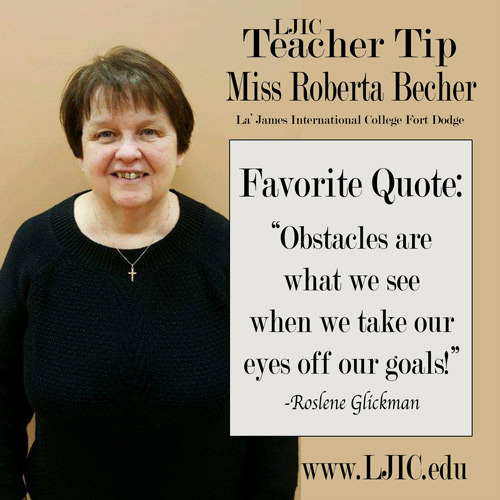 Thank you Miss B. for the quote and for participating in today’s #LjicTeacherTip!